This week there was a news that made us all aware of a bug that causes Safari on iOS to crash, and consequently reboot the iPhone or iPad in question. Not the best news for the unprepared users who could, and have tapped on the URL shared through social media sites such as Facebook or Twitter only to see their iOS environment collapse. Apple is already aware of the issue that is caused by a few simple lines of code which populates the address bar with a self-generating text string, but as always before the company could come up with an official fix, the jailbreak world was quick to respond with an interim fix for those with a jailbroken iPhone, iPad, or iPod touch. The crashsafari.com webpage that is causing all of this fuss isn’t a huge cause for concern for Apple and users as the website and the underlying intent of the code isn’t actually malicious. It doesn’t execute any malicious code intent on stealing data or uploading any identifiers to remote servers. It’s an inconvenience at best, but it’s still good to note that Apple is aware of the issue and is looking to fix it along with a number of other Safari bugs. For those that simply can’t wait, there’s a new jailbreak tweak that’s made its way onto Cydia called, StopCrashingSafari. No prizes awarded for the original naming. Step 1: Launch Cydia and navigate to the section that allows sources to be added. Step 3: When the repository has finished reloading, search for the StopCrashingSafari tweak. Step 4: Install the tweak through the usual process. That’s all that is actually required. 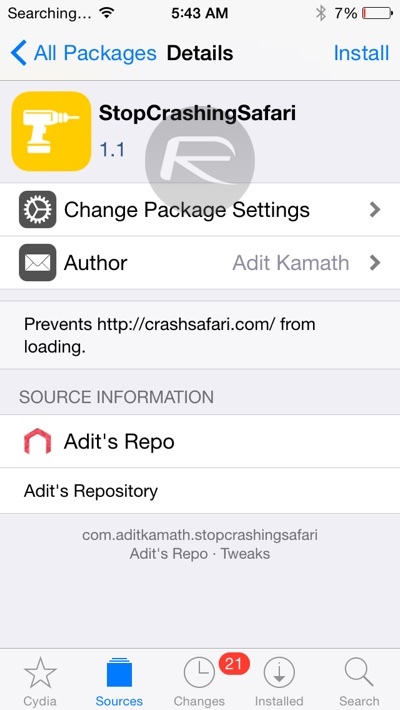 The StopCrashingSafari tweak has been developed to explicitly prevent ‘Crash Safari’ page from loading. If the code can’t run, then it can’t cause the address bar to be continuously populated, therefore not crashing the web browser. Of course, this fix only applies to jailbroken users so isn’t exactly ideal for everyone. 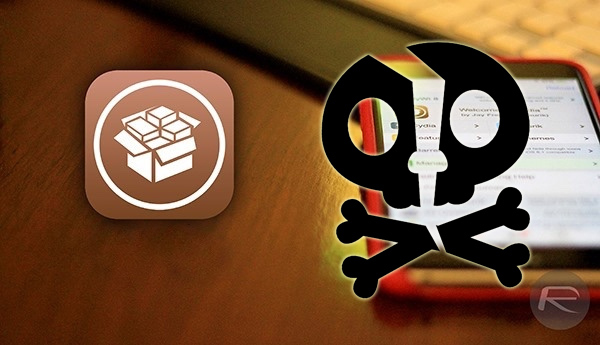 Those not jailbroken will need to wait until Apple releases a fix for the problem. If I’m not mistaken, Apple have already resolved this issue? Ah ok. Didn’t know two issues existed. Does it fix the underlying issue or just block the URL? my parents inlaw just got Nissan Pathfinder Hybrid by working part time online. you can find out more….